Technique Learning Solutions Ltd is an approved learning provider for the Ministry of Defence Enhanced Learning Credit scheme from ELCAS, and we are now included on the MoD Enhanced Learning Credits Providers list and are able to accept ELCs from service personnel for a number of courses. Technique Learning Solutions Ltd Provider No, is 5519 and should be quoted in all correspondence. As an Enhanced Learning Credits authorised provider we are able to provide training to service personnel qualifying for the ELC scheme. 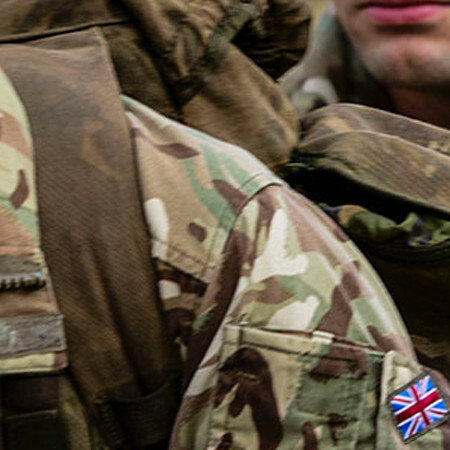 Qualifying for up to £2000-00 a year, for 3 years of training on selected courses, the ELC scheme will allow you to train or retrain during your service period or after you have resettled. We are ELC registered so you can use your enhanced learning credits for any of our resettlement courses which result in a nationally recognised qualification at Level three or above on the National Qualifications Framework (NQF). To find out more about the scheme visit www.enhancedlearningcredits.com. The ELC process is simple and easy. When you’ve chosen a start date from our courses calendar, speak to your training/resettlement officer about the course you would like to take. He/she will then give you authority to proceed. The 1746’ document will be given to you from your Resettlement Officer. Simply complete section 1 and fax to Technique Learning Solutions on 01246 802223. We will book you into the desired course and return the 1746 form to you or your Resettlement Officer. Evidence such as your (Credit Authorisation Note) will then be sent to your resettlement Officer. Fax this to Technique Learning Solutions and bring the original on your first training day. The Credit Authorisation Note shows your contribution and also the ELCAS contribution. Once we receive your contribution, Technique Learning Solution will send out your course confirmation details via email. The invoice for the ELCAS contribution is raised and sent to M.O.D. finance department. The next step is to attend the course itself! Once you’ve attended your training with us, we’ll complete & sign your 1748 CWA/CTA confirmation and claim form. This can and only will be signed on your last day of training. Successful candidates will receive their course certificates in the post via recorded delivery. (1) The Lower Tier level provides funding for up to a maximum of 3 awards of up to £1k per Financial Year. The applicant must have completed either 4 or more years qualifying service completed before 1 Apr 17, or otherwise 6 or more years qualifying service completed on or after 1 Apr 17. (2) From 1 Apr 16, a new type of award is available, called an Aggregated Lower Tier award, which provides a single award of up to £3k for an applicant who have completed 6 or more years qualifying service on or after 1 Apr 16. This type of award may not be taken by applicant or claimant who previously accessed a Lower Tier award or who qualify for Upper Tier awards. (3) The Upper Tier level provides funding for up to a maximum of 3 awards of up to £2k per Financial Year. The applicant or claimant must have completed 8 or more years qualifying service.